AirAsia had caught the attention of a handful of netizens after changing the color of their logo in their official Facebook and Twitter account from red to gray after confirming the disappearance of Flight QZ8501. Some say that it is too early for the change since nobody still knew what happened to the plane. Inquirer explains that tome say that this suggests the worst of the fate of the 162 people on board the said aircraft. It was reported that the aircraft has lost their communication with the Jakarta Air Traffic control on December 28,2014 after asking for the permission of an unusual deviation to rise higher to 38,000 feet. The communication was suddenly lost even before a permission was given to the pilot. Search and rescue operations had been activated as soon as the Airbus 320-200 has been confirmed missing. US, India, Britain and South Korea had pledged their help to find the missing aircraft which was suppose to land in Changi, Singapore. The relatives were anxious and some netizens had voiced out that there is still hope for those aboard the aircraft, shunning the action of AirAsia in making their logo gray. Some say the change of color makes it mean that the passengers and crew are dead wherein there is still no evidence of what took place. Nothing found yet and the action of the airline makes it seem that they had lost hope. Other netizens showed positivity saying that the airline is showing sympathy with the relatives. Many people from various social media offered prayers and encouragement through their comments. Many voiced out that there is still hope. 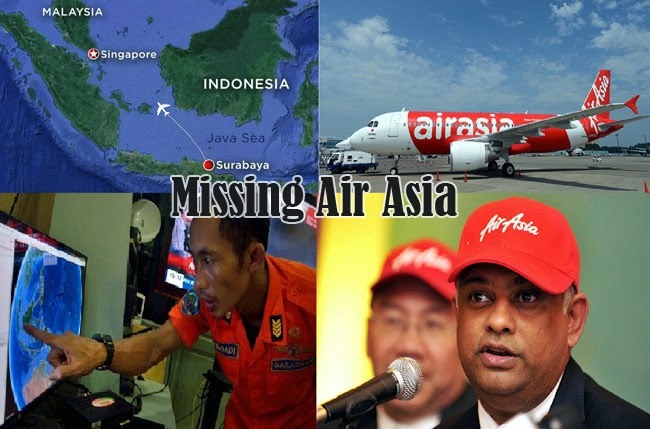 The search and rescue operation is currently led by Indonesia’s Civil Aviation Authority. The Airbus 320-200 had went through its maintenance last November 16 and is piloted by a captain who has 6,100 flying hours while a total of 2,275 flying hours had been completed by the first officer.